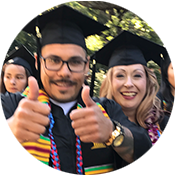 The Institutional Learning Outcomes represent our commitment that every Gavilan graduate will have the opportunity to gain knowledge, skills, and personal capabilities throughout their studies and experiences. ILO A. 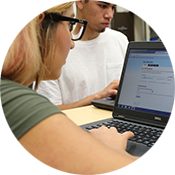 Develop and apply critical and creative thinking skills, including information literacy and aesthetic responsiveness. Produce or respond to artistic and creative expression. ILO B. Express and exchange ideas effectively through listening, speaking, reading, writing and other modes of interpersonal communication. Read, write, speak and listen analytically. Note: This area relates to the previous ILOs: 2, 3 and 5. Note: This area relates to the previous ILO: 1. ILO C. Develop ethical, social and civic awareness. Practice honesty and apply consistent ethical standards. ILO D. Construct personal, educational and career goals and identify lifestyle choices that promote mental, emotional, physical and social health. Affirm and promote positive individual and communal identities. Note: This area relates to the previous ILO: 4 and 6. Note: This area relates to the previous ILO: 6.